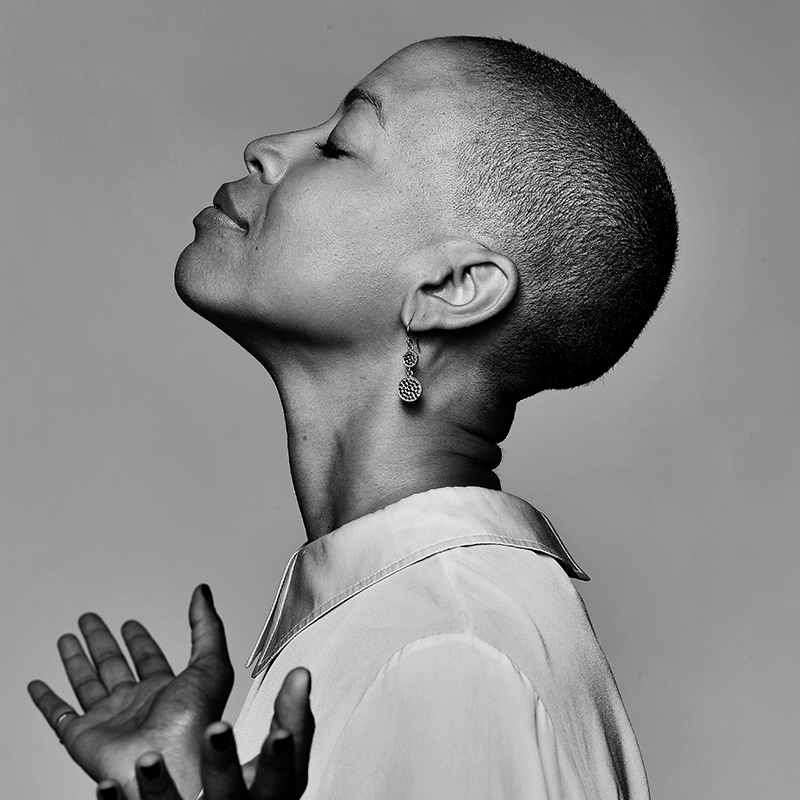 Rhea L. Combs is curator of photography and film at the Smithsonian National Museum of African American History & Culture. She also serves as the head of the museum’s Earl W. and Amanda Stafford Center for African American Media Arts (CAAMA). Combs received her B.A. from Howard University, M.A. from Cornell University, and Ph.D. from Emory University. Her writings have been featured in anthologies, academic journals, and exhibition catalogues on a range of topics including: African American female filmmakers, Black popular culture, visual aesthetics, filmmaking, and photography. She’s presented talks on media, art, and culture throughout the United States. 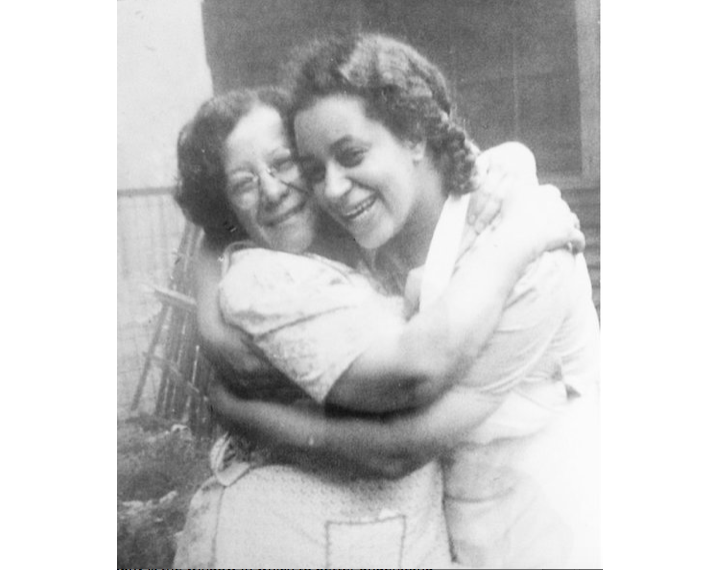 The woman who has most influenced me has been my maternal grandmother, Frances Suttles. She was my closest friend. I was fortunate to have her in my life through my teen and early adult years. She was very loyal and committed to her family. Life had not always been easy for her as a wife and mother of five, but she still had a fun-loving spirit, a heap of mother-wit, and loads of common sense. My grandmother was brutally honest, but she always encouraged me to follow my dreams, and she acknowledged and supported my creative spirit and believed in me, even when I was young and still searching for purpose. She had a phrase, “keep on living,” which was to say that through all the trials and tribulations one shouldn’t give up—just keep on living, and in the end everything will work out and make sense. She also inspired me because she was quite creative; not only was she was an incredible cook, I’d even say she was a designer. I remember when I was teenager, she started her own cake decorating business. She would come up with some of the most intricate designs for her clients. She had extremely neat handwriting, which came in handy as she was decorating her cakes. She would often cut out ideas and create what would now be called a ‘vision board.’ She was constantly practicing her piping to make sure she developed great-tasting—but also great-looking—cakes. This was a side business she started later in life but was something she had always enjoyed doing. Starting this small business inspired me because it reminded me that people’s lives are so much more fulfilled when they are able to pursue and follow their dreams—no matter the age or how strange one might think it is. Designers live in the world. Good design, I think, helps people live in the world with more ease and allows them to see what is possible. Of course, people have choices to do what they like, but I think the most distinctive have a voice and a vision, and are creating work that moves people to see the world differently. That said, I also believe art has many functions, and one of them is to interrogate the status quo. I believe art has many functions, and one of them is to interrogate the status quo. I have a daughter. One of her favorite shirts is one she designed herself, and it is of a young brown girl riding a unicorn. I love this image, not only because she designed it, but because I think it speaks to the attitude I want young women to have. Women are magic and magical things are possible. Women have been change agents in all sectors of business, art, education, science, politics—you name it. I think women should speak up, not second guess their instincts and ideas. Too often I have witnessed situations when women will demure, and although they have great ideas and are equally talented as others, they will either wait to speak up or suppress their ideas. In order to challenge the systemic sexism rampant in society, we need to make sure we support other women and believe that our ideas and perspectives are just as important as anyone else’s. Too often I have witnessed situations when women will demure… In order to challenge the systemic sexism rampant in society, we need to believe that our ideas and perspectives are just as important as anyone else’s. Rhea and her daughter, and a note her daughter wrote her. I advocate for equal pay in the workplace. I think that it makes no sense that pay disparity exists. Women work very hard to make their mark in the workplace, and they are often asked to make tremendous personal and professional sacrifices. I make sure to create an environment within my department where men and women doing the same job are paid similarly. I speak out about pay discrepancies. When I have the chance to hire contractors for a short-term project, I encourage bids be sent to minority and women-owned businesses. 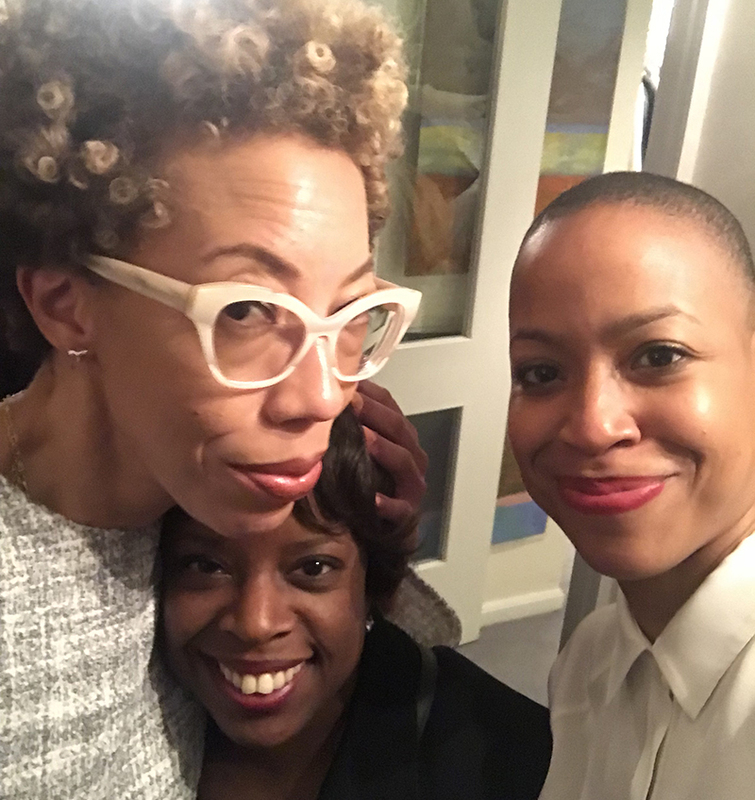 Amy Sherald, artist; Michelle Wilkinson, curator; and Rhea Combs, Washington, DC, February 2018. I am made hopeful by young women like Emma Gonzalez from Parkland, Florida, who “called BS” on the rampant violence and current, dare I say insufficient, gun laws that are failing our citizens. I am made hopeful by things like the #MeToo movement that galvanized people from all walks of life to recognize the insidious and long-standing culture of sexual harassment that has seeped into so many facets of society. I am hopeful that through these social movements, women designers will be inspired to design using the unique perspectives that come from being a woman, coupled with other life experiences, as a badge of honor. From a design perspective, I am also hopeful because a young—and at the time—lesser-known artist, Amy Sherald, was given a chance to be recognized on the world stage with her commission to create the portrait of former First Lady Michelle Obama. I am also hopeful because there are young people like my daughter who are interested in becoming designers. Technology currently allows for certain boundaries to be dismantled and for greater participation by people who historically have been marginalized. I believe that access to current technologies can provide opportunity for tremendous design possibilities. From Lindsay Peoples: How do you go about making sure that African-American history in photography is preserved and upheld to the standard it deserves? African American history is extensive, as some would imagine (and others rarely consider). Some historians have even said photography is the window in which to better understand history. Put another way, for some people, their initial point of entry into examining African American history starts with an image they have never seen before about a topic ‘they thought they knew.’ Often times, seeing an unfamiliar image from a seemingly familiar topic sparks questions that allows people to seek more information. This perspective motivates me when collecting images. As it relates to preserving those images, it is fortunate to be at a museum like the Smithsonian, a place that prides itself in adhering to best practices. It is critical to seek as much information as possible about the subject or context of an image. This becomes an important way of preserving the image and African American history. When we are able to identify the subject in the photograph, and obtain substantiated information about the circumstances surrounding the photograph, we are able to preserve lesser-known facts about American history told through the African American lens. Another way to explore this question of preservation is from a conservation standpoint. In this sense, curators work closely with conservators to make sure we are exercising the best standards possible in order to ensure a photograph is able to be around for decades and doesn’t fade or fall into disrepair. Curators work closely with conservators to determine the best course of action. In some instances, a digital reproduction is decided to be the best thing that will preserve an image. The photograph could be too fragile to be on display for more than three months at a time. Knowing how long we generally have exhibitions on display, we often have to use a graphic image in lieu of putting the actual object in jeopardy. In other instances, we will rotate images off display in order to preserve them. Curators also work closely with conservators to determine the best light levels for putting something on display as well to ensure it doesn’t fade. As you can imagine, there are a lot of factors when considering the ways in which to preserve and share the long-standing legacy of African American images. But the work is critical and we are committed to telling stories of people known and lesser-known. One way to do this is through images that must be preserved to show a fuller picture of American history and culture. The most recent exhibition Rhea mounted. 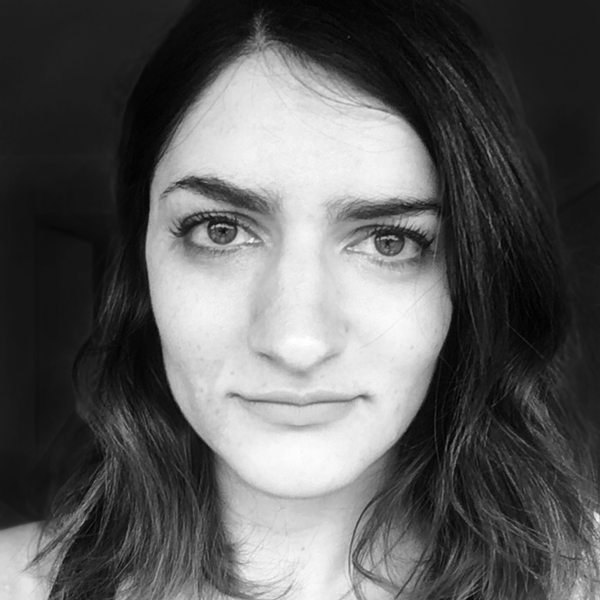 Next week: Rhea asks Deva Pardue, Design Director at The Wing: How does your worldview influence the work you choose? And how does that perspective affect your design aesthetic?